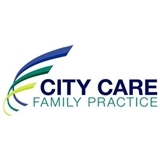 City Care Family Practice (New York) - Book Appointment Online! Located in Murray Hill on the East side of Manhattan, City Care has been providing quality care and a medical home for this community for more than 20 years. The key to healthy living in the city is finding a provider who is available, knowledgeable, and, most important, nice. City Care strives to excel at all of these. Our patients span the spectrum from newborns to grandparents. Building a long term, trusted relationship with you is our goal. Dr. Bruce Chung and the associate providers are board certified in Family Medicine. They are able to address most of your health problems with their extensive experience. If there is an issue we are unable to manage we will coordinate your care through our network of local specialists. Japanese, Spanish Tagalog & Burmese translator service is available.Our pleasant staff is looking forward to serve you. The reception sent to a wrong address to do my blood test! My knee was very hurt that day. I personally had not been to a doctor in years. Dr. Fuks was very down to earth and I felt comfortable with her instantly. Very knowledgeable and professional. Would highly recommend to anyone.